Officer Tovar set up the GoFundMe to help families who were devastated by Hurricane Maria. RALEIGH, NC (WTVD) -- There's a happy update to a story first reported by ABC11 on Tuesday - a GoFundMe set up by a compassionate Raleigh police officer has raised more than $4,100 in just 24 hours for two families in need. The amount is well over the $3,000 goal set by Officer Alejandro Tovar. It all started when an ABC11 eyewitness sent in a video she captured of Raleigh officer Alejandro Tovar getting down on his knees to give a crying 8-year-old a hug that was widely shared on social media. 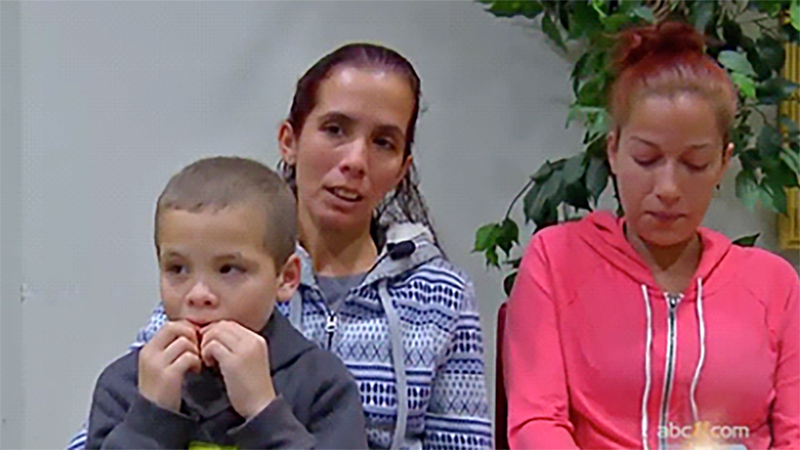 The boy, who is autistic and has ADHD, and his family were recently evicted from a motel on Capital Boulevard when the video was taken Sunday. Tovar set up the GoFundMe page to help with food and finding the family a place to stay until they can get back on their feet. Read more and hear from the families and Officer Tovar in the original story here.